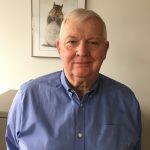 Leo came to Synecticsworld in 1984 after several years in the health care field and years of service in the Mayor’s Office in Boston. In addition to his financial responsibilities, Leo serves on the Executive Team of Synecticsworld and has responsibility for many other corporate functions including administration, technology, and legal matters. After receiving a bachelor’s degree in Political Science from the University of Massachusetts, Leo earned an MBA in Finance from Boston University. Leo is an avid reader and traveler, indications that he has clearly passed into the spectator stage of life. Leo is a life long resident of the Boston area, currently residing in Newton with his wife Louise.